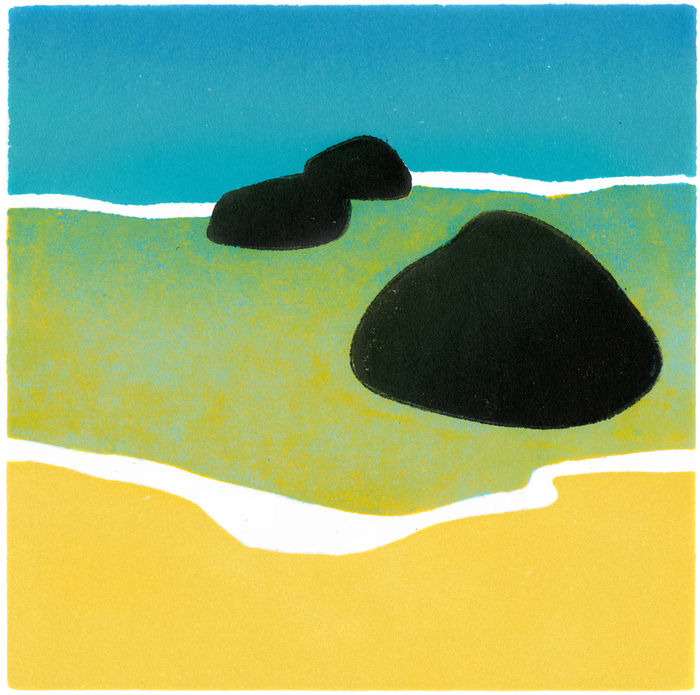 Lava shaped and placed in sand at the ocean’s edge as if by a Japanese garden designer: graphic perfection in 3D. Islands, sea, the whole planet − suggested in miniature. This is what I’d like to do more often: say little, speak much. Georgia O’Keefe could do it. I think so often of her “Light Coming on the Plains” and how it sums up the universe in the shape of an egg. Framed 11" x 11", Unframed 5" x 5"